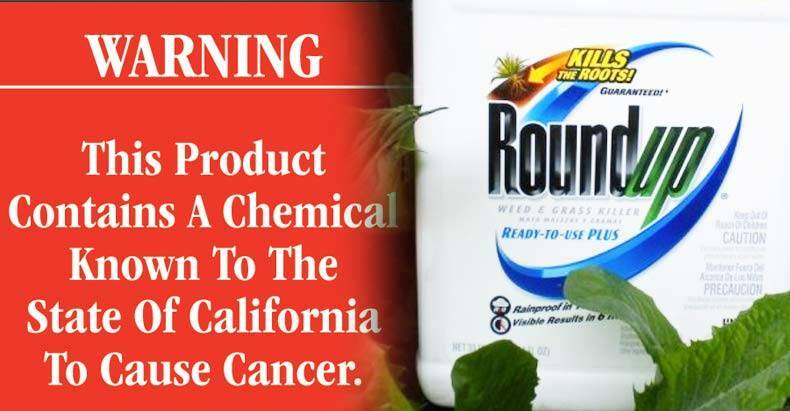 Sacramento, CA – The state of California’s Environmental Protection Agency has moved to begin labeling glyphosate, the main ingredient in Monsanto’s Roundup, as a known carcinogen. Then just last week, researchers issued a warning about potential adverse long-term health effects. The warning comes after they found that long-term exposure to minuscule amounts (thousands of times lower than what is allowed in drinking water in the US) could lead kidney and liver damage. The EPA’s announcement is an official “notice of intent” to label the product as a known carcinogen, which allows the public to comment on the proposed listing through October 5, 2015. The action falls under Proposition 65, a measure voters approved in 1986 that requires the state to publish a list of chemicals known to cause cancer, birth defects, or other reproductive harms. The state regularly updates the list, which now includes hundreds of chemicals. Under Prop 65, businesses must provide a “clear and reasonable” warning before exposing people to a chemical on the list. The warning could be labels on a consumer product, workplace postings, distributed notices at apartment buildings, or a notice published in a newspaper. The listing neither restricts, nor bans the herbicide, but environmental activists are hopeful that the listing could eventually lead to more restrictions on the chemicals usage. “California’s taking an important step toward protecting people and wildlife from this toxic pesticide,” Nathan Donley, staff scientist with the Center for Biological Diversity, a conservation nonprofit based in San Francisco, said in a statement. “It’s nearly impossible for people to limit exposure to this toxin because it is just so widespread. That’s why we need much tighter controls on its use.” Donley said, adding that the US uses more than 250 millions pounds of glyphosate annually. The activist hopes these actions will serve as an impetus for greater federal involvement in regulating this potential carcinogen. The Center for Biological Diversity claims that glyphosate residue is now found on 90 percent of GM soy and that world use of the chemical is at an all-time high.